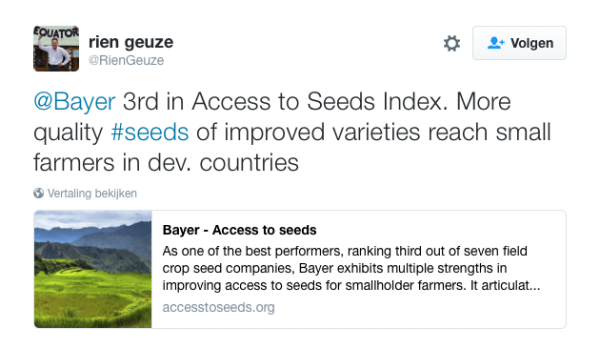 How did companies communicate on the Access to Seeds Index in their external communication? Find some responses below. 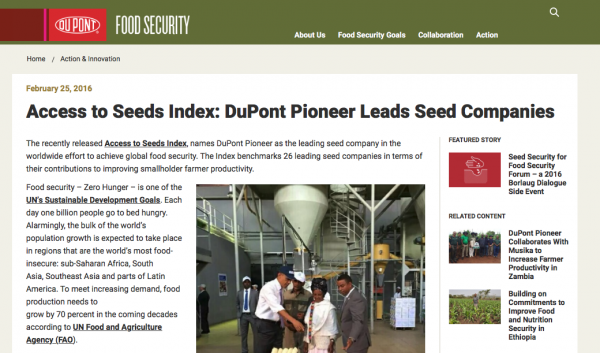 Dupont Pioneer ranked first on the Global Access to Seeds Index for field crop seed companies. The company responded on its ranking in an article by The Guardian. It also communicated about the result in its internal media, via social media and on its food security website. 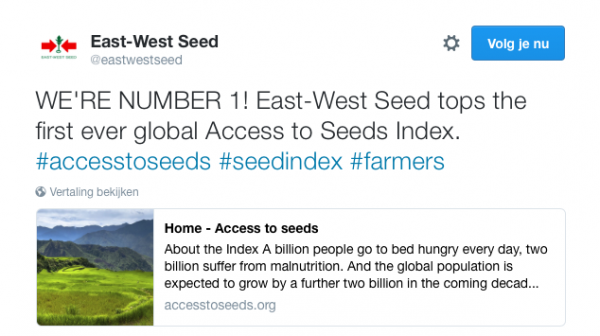 East-West Seed ranked first on the Global Access to Seeds Index for vegetable seed companies and the Regional Index for Eastern Africa. 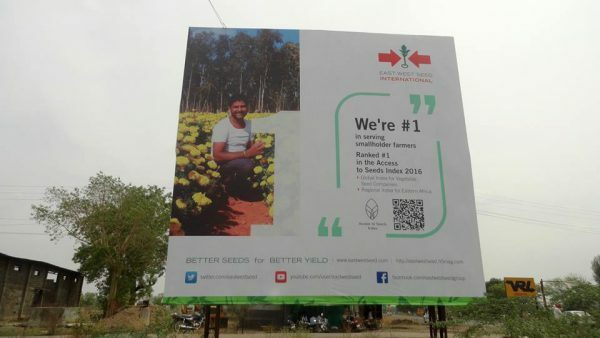 The company communicated about the result with farmers, employees and other stakeholders via roadsigns, video messages, its annual report, during industry presentation and at various other occasions. 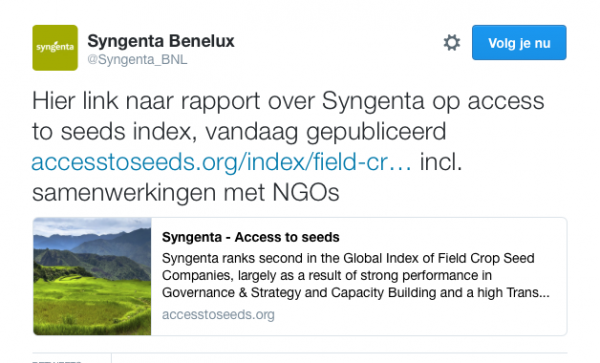 Syngenta stated in response to the Access to Seeds Index that “We are fully transparent about how we engage with smallholder farmers across the world. All stakeholders, including the Access to Seeds Foundation, are invited to access, check and use the relevant data we publish on our website. East African Seed Company, third on the Regional Index for Eastern Africa communicated among others via its social media channels about the result. The CEO of Victoria Seeds, Josephine Okot, participated in the panel discussion at FAO’s headquarters in Rome and spoke passionate about the importance of good seeds and challenges companies in East Africa face getting quality seeds to farmers. Also (employees of) other companies such as Bayer and Syngenta discussed the results of their and other companies via social media.